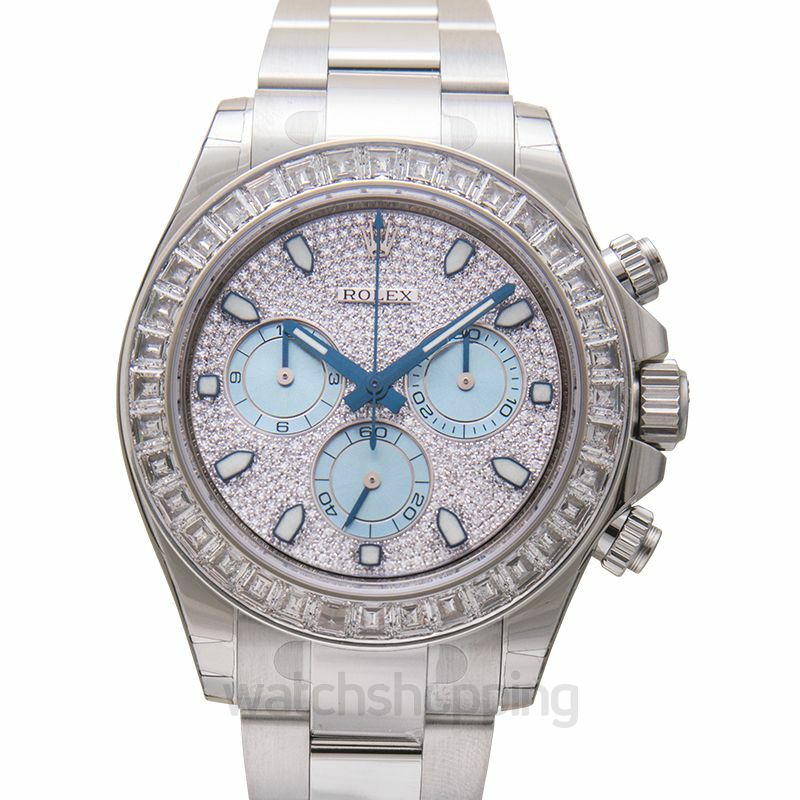 The Rolex Oyster Perpetual Cosmograph Daytona has to be Rolex’s most iconic watches. The credit for that goes to the extraordinary design of the watch which is the complete balanced of sportiness, luxury, and innovation. 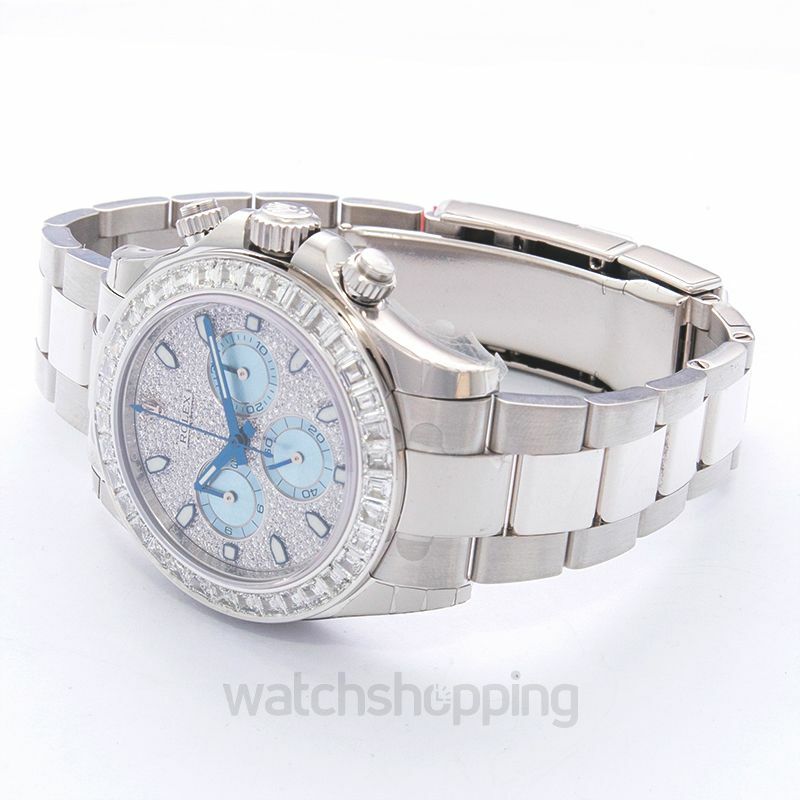 Made especially for race enthusiasts, this race watch features a diamond dial that has 3 light-blue sub dials inside. The blue luminous hands increase the readability of the dial. 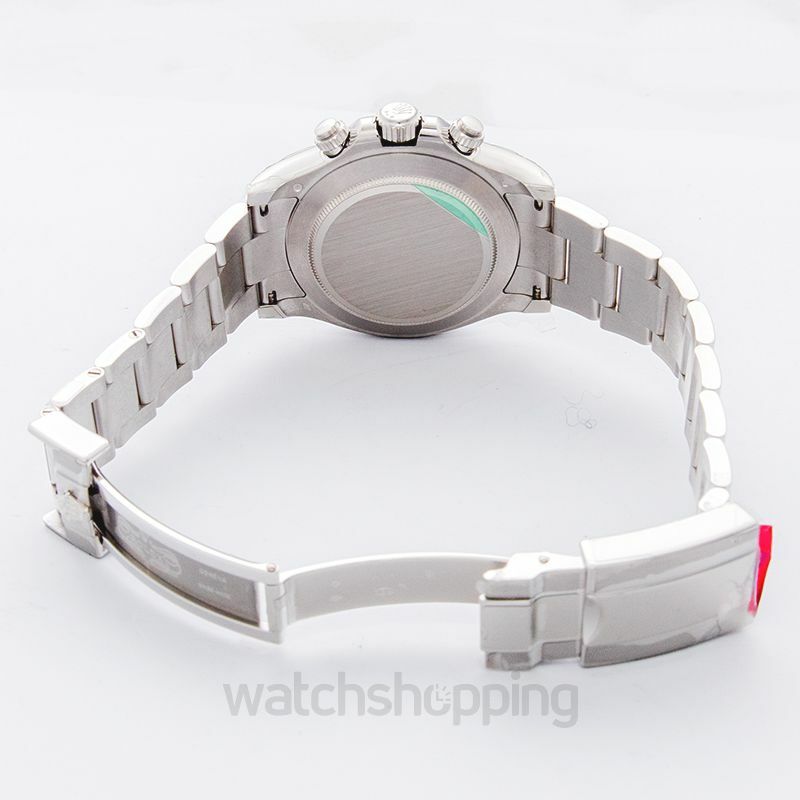 Moreover, the model has a robust oyster bracelet, with a combination of satin and polished finish. 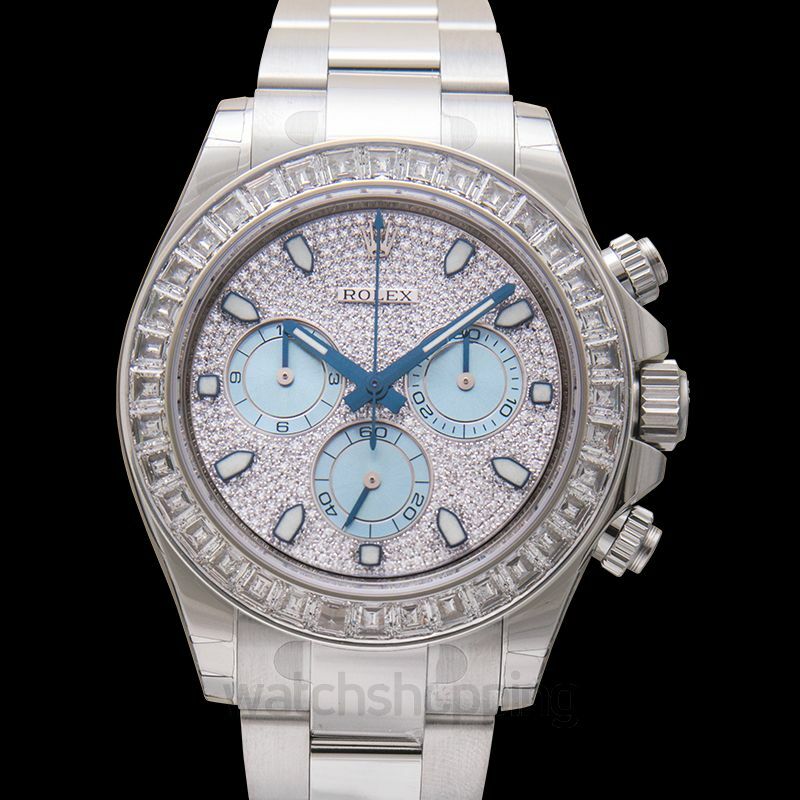 The most eye catchy feature of the watch is its bezel that is set with the finest quality diamonds. Made with the robust quality platinum, the Rolex watch is bound to meet all your racer-needs and last you a long time.